TV with Thinus: Idols on Mzansi Magic once again shakes up the status quo for the exciting 15th season, as [SIC] Entertainment again makes some big changes. Idols on Mzansi Magic once again shakes up the status quo for the exciting 15th season, as [SIC] Entertainment again makes some big changes. TVwithThinus reporting on location: Idols on Mzansi Magic (DStv 161) is once again shaking up the status quo with the long-running reality singing competition show that will once again upend expectations for the new 15th season. Some very big changes are in store for the so-called and feared "Hell Week" or Theatre Week, where the the top selected contestants from across South Africa come together and meet as a big group for the first time, train and prepare, and must then sing for their lives before they're either cut or selected in brutal fashion for the final group that will start doing live Sunday performances. Set for broadcast during the first half of August on Mzansi Magic, the Theatre Week episodes were recorded this week by [SIC] Entertainment, with the production once again changing things up. At this point TVwithThinus can't reveal anything seen and experienced the last few days, suffice to say it will once again not be anything that viewers have seen in previous Idols seasons. The producers are once again changing things with presenter and co-executive producer ProVerb once again ready with some big curveballs for the contestants from across South Africa who arrive and must prove their mettle before the judges Randall Abrahams, Somizi and Unathi Nkayi. TVwithThinus spent hours this week on set, on location with Idols with the production that is once again working hard to ensure that there are multiple surprises in store for the contestants as well as for viewers during the eye-popping 15th season. Of course the contestants also ensure planned and unplanned surprises. 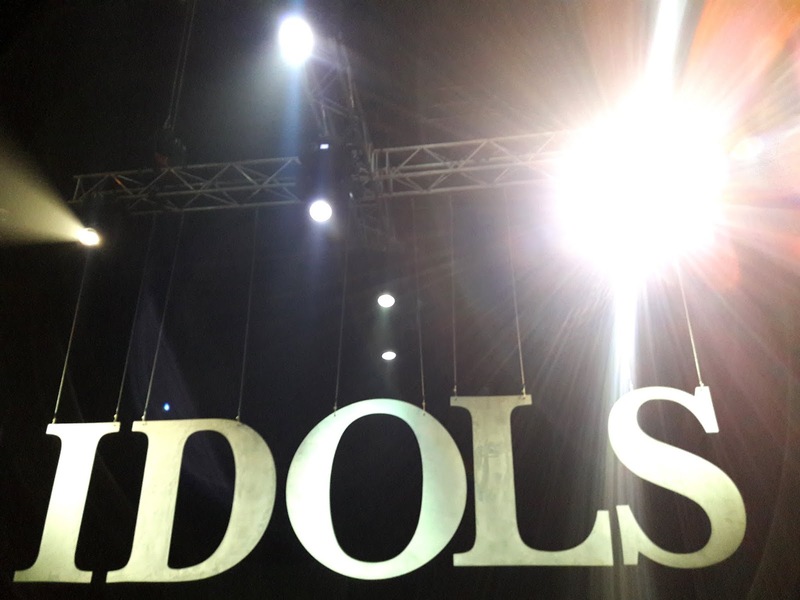 With record ratings and record voting statistics that keep increasing, the 15th season of Idols on Mzansi Magic looks destined to once again improve on the performance of previous years.